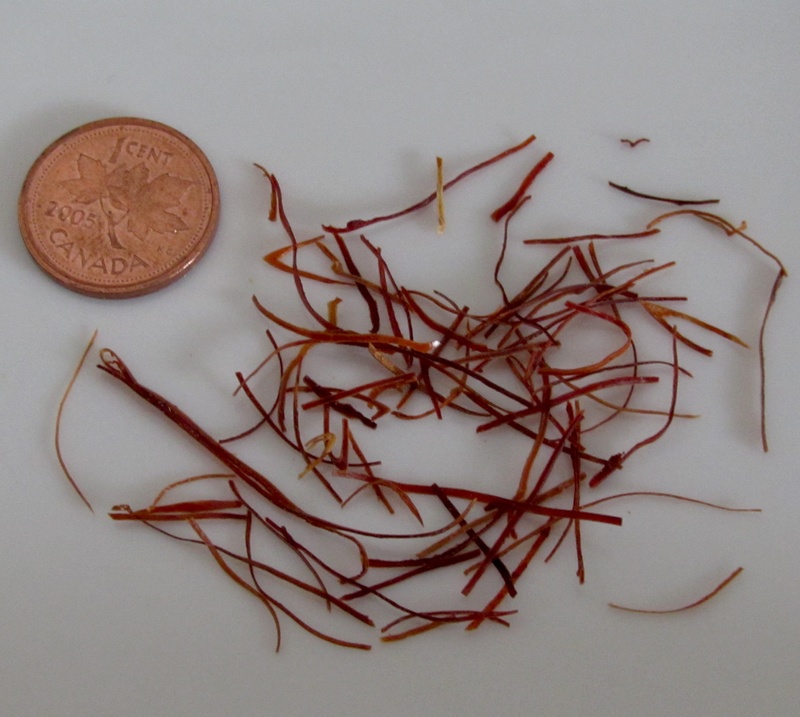 As you can see, these commercially produced threads are very fine indeed but, surprisingly, although made from dried chili, they are not at all brittle and remain quite soft and pliable even after prolonged storage. It is possible to make them in the home kitchen but, as you might guess, one needs to have exceptional knife skills to produce a result that approaches factory-made quality. I have tried it myself in the past and, though I didn’t do too badly, I have to admit that it is difficult to get such feathery thin shreds consistently. As a flavor ingredient, the threads have the same earthy smokiness as any one of a number of dried chili preparations and none of the commercially produced ones I have ever tasted have been particularly hot. If being used as a spice (as opposed to just as a garnish), it helps to dry-roast the threads in a pan before using as this will help to enhance the flavors. 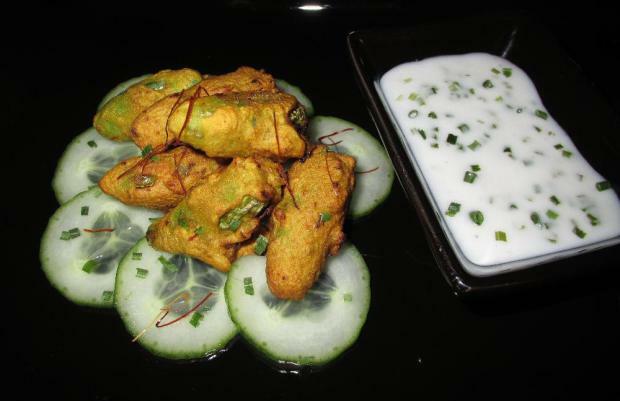 As a garnish, the dried threads can simply just be placed, or sprinkled, over a finished dish and, in the above picture you can see them used to garnish a Tindora Pakora appetizer I featured well over a year ago. Those are awesome! I have to admit that for a split second, I thought they were saffron threads. I wonder how they get them so thin . . . I hadn’t ever seen those before. 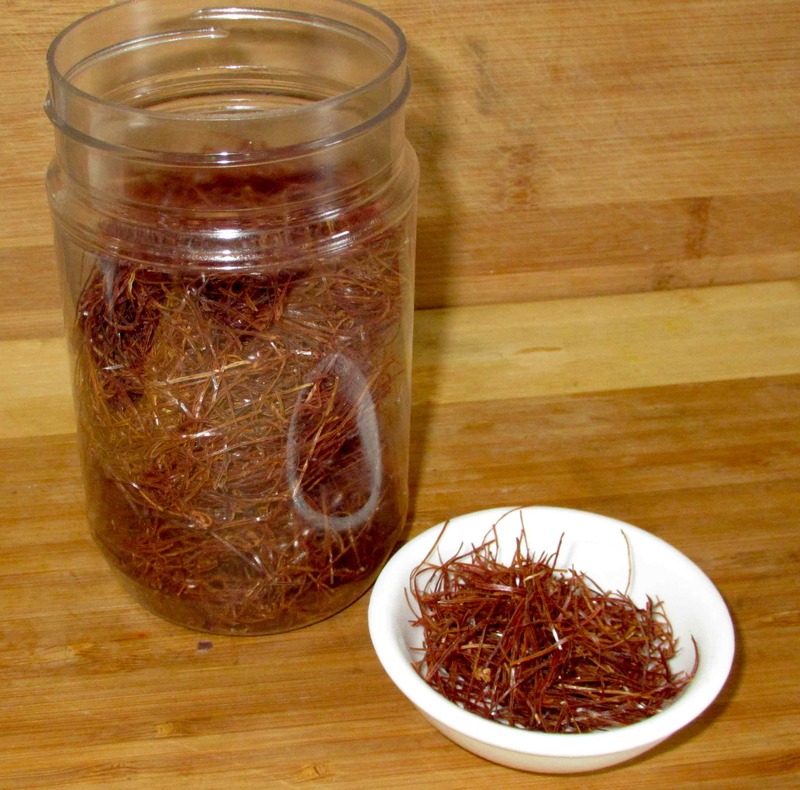 I saw the picture on this post and thought you had bought $5,000 worth of saffron. Help! I have purchased some chili breads and am anxious to use them in my kimchi. However I do not know how much to use. Can you tell me, either by the number of cabbage heads, or. By the pound?